Six youth, including Xiutezcatl Martinez, and attorneys from Our Children’s Trust, filed a lawsuit against the Colorado Oil and Gas Conservation Commission against fracking and recognizing climate change as well as to protect constitutional rights to a stable climate system. They claim the commission is abusing its power by permitting the fossil fuel industry to extract further oil and gas before protecting the health and future of its citizens. Petitioners: Colorado Oil and Gas Conservation Commission, American Petroleum Institute, and Colorado Petroleum Association, v. Respondents: Xiuhtezcatl Martinez, Itzcuahtli Roske-Martinez; Sonora Binkley, Aerielle Deering, Trinity Carter, Jamirah DuHamel, and Emma Bray, minors appearing by and through their legal guardians Tamara Roske, Bindi Brinkley, Eleni Deering, Jasmine Jones, Robin Ruston, and Diana Bray. Petitions for Writ of Certiorari GRANTED. EN BANC. [REFRAMED] Whether the court of appeals erred in determining that the Colorado Oil and Gas Commission misinterpreted section 34-60-102(1)(a)(I), C.R.S. as requiring a balance between oil and gas development and public health, safety, and welfare. In May, the Colorado Attorney General petitioned the Colorado Supreme Court to review the appellate court’s ruling in the case of Martinez v. Colorado Oil and Gas Conservation Commission, after the appeals court overturned a lower court ruling. The lower court ruling favored the Colorado Oil & Gas Conservation Commission (COGCC), confirming that the commission did not have to comply with the Martinez et al petition for a rulemaking. 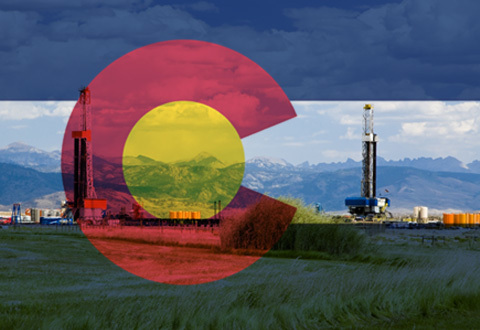 The effect of the lower court ruling was that COGCC could continue permitting and regulating oil and gas in Colorado the way it always has—by balancing the fostering of responsible oil and gas development with safeguarding the public health, safety and welfare. The petitioners, a group of climate activist youths, took the case to the Colorado Court of Appeals. The Martinez petitioners and their attorneys argued that the COGCC had a separate duty to protect health, safety and welfare and environment, rather than providing a balance of the commission’s two mandates. Two of the three appellate court judges agreed with the interpretation and overturned the lower court in a two-to-one decision. The decision by the appellate court, if allowed to stand, would change how the Colorado Oil and Gas Conservation Commission (COGCC) approaches its duty to carry out the law that created it. 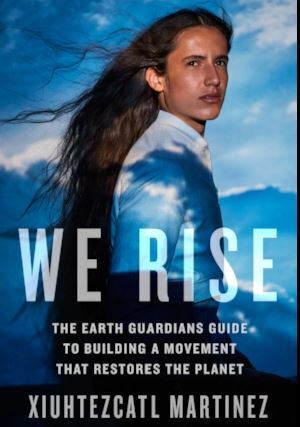 The beginning of the Martinez v. COGCC case dates back to November 15, 2013, when petitioners Xiuhtezcatl Martinez, Itzcuahtli Roske-Martinez, Sonora Brinkley, Aerielle Deering, Trinity Carter, and Emma Bray, minors appearing by and through their legal guardians Tamara Roske, Bindi Brinkley, Eleni Deering, Jasmine Jones, Robin Ruston, and Diana Bray, petitioned the COGCC to impose a rulemaking as recapped on April 22, 2014, in a memorandum to the COGCC commissioners from COGCC Director Matthew Lepore. The Colorado Oil and Gas Conservation Commission (COGCC) voted to take the ruling to the Colorado Supreme Court. Amidst appeals by Gov. John Hickenlooper to not petition for the high court review of the ruling, Colorado Attorney General Cynthia Coffman nonetheless officially petitioned the high court to review the appeals court reversal of the lower court. “… the court of appeals rejected the Commission’s long-settled interpretation [of its mandate as set forth by the Colorado Oil and Gas Conservation Act]. By petitioning the Colorado Supreme Court for Writ of Certiorari, Attorney General Coffman and the COGCC are asking the high court to review the appellate court ruling. If the Supreme Court either refuses to review the case, or if it does review and subsequently allows the appeals court decision to stand, the result would deliver wide-ranging consequences as to how the COGCC could permit oil and gas activity in Colorado going forward. A Colorado Supreme Court ruling that supports the appellate court’s decision would essentially introduce a new interpretation of the COGCC’s longstanding mandate to balance responsible oil and gas development with public health, safety and welfare. In plain language, new oil and gas development in Colorado could grind to a halt if the appellate court decision on Martinez v. COGCC stands. What’s next in Martinez v. COGCC? 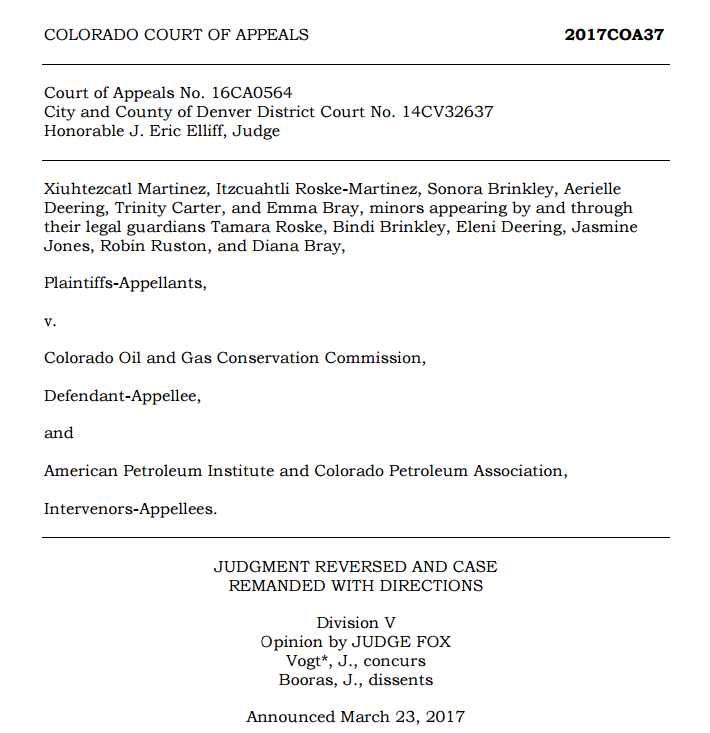 In the Martinez v. COGCC case, it is the COGCC that petitioned the Supreme Court directly, following the appellate court ruling that would change how it approaches the mandate it has to carry out the provisions of the Colorado Oil and Gas Conservation Act.